The title says it all really. I’ve had a week of from work and I’ve basically spent that time eating, cooking, watching films and drinking tea in bed. With all the crazy that’s been happening lately, it was just the kind of indulgent and relaxing break that I needed. 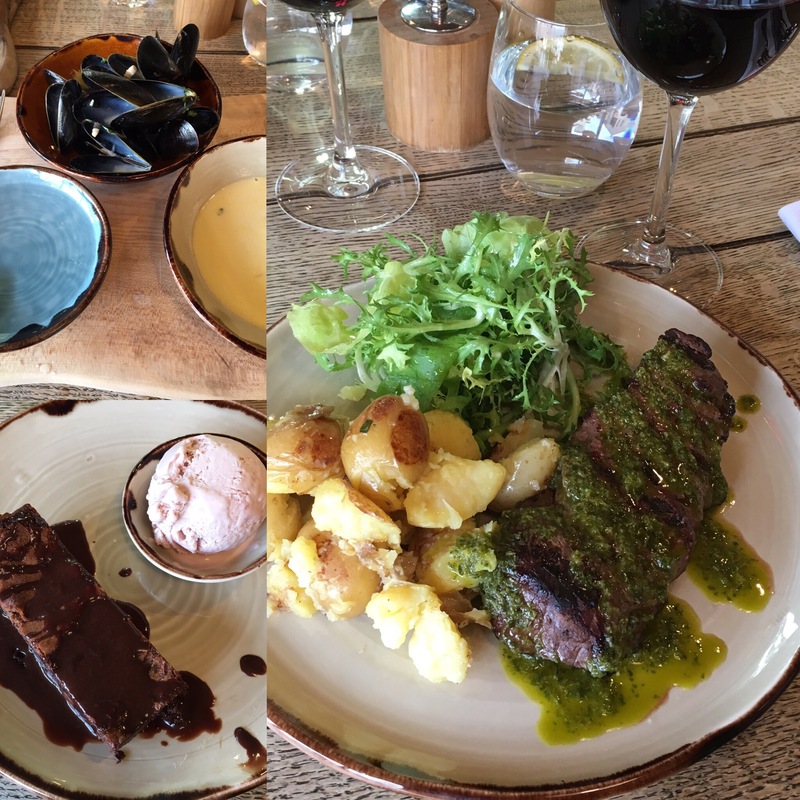 For my birthday meal this year, I was treated to lunch at River Cottage Canteen. I’ve wanted to visit since we first moved to Bristol, and now I can’t wait to go again. After a quick discussion with the very helpful waitress, we worked out the gluten free options on the set menu. 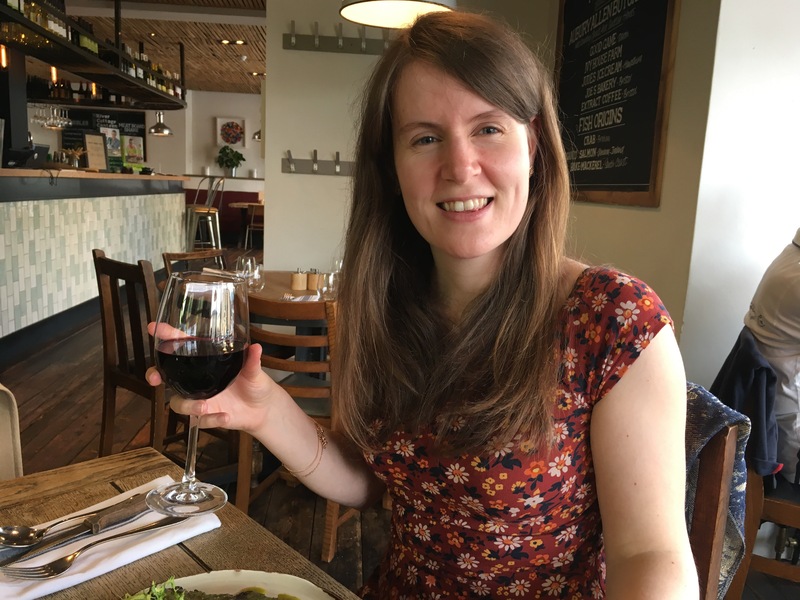 It was incredible value, seeing as all of the ingredients are local and organic.We both had three courses, a glass of prosecco and a glass of organic red wine and it came to just over £50. We both had mussels in cider to start. They were perfectly cooked, still plump and juicy and not a hint of rubberiness about them. Lawrence had bread, I didn’t, which was good because I wanted room for my other courses! We both had a steak for mains. I’ve never eaten a piece of meat like it. Accompanied by watercress salsa verde, mixed salad and crushed potatoes (Lawrence had chips), it was an almighty dish. Lawrence put it best – “this is the best steak I’ve ever had”. For a set menu, I was impressed that all three dessert options were gluten free. That’s not something you normally see and the lonely gluten free offering is normally fruit. Ice cream is lovely, but a bit plain for a celebratory meal, so I chose the almond brownie and Lawrence had the rhubarb Eton Mess. We “shared” so we could have a taste of each, but I certainly had more than my fair share of spoonfuls of both puddings. It was my birthday after all. I had another lunch time treat earlier this week when we went on a walk south of the river. Although I had a few aches and pains from endo issues, I still managed the walk because I knew there was a real reward waiting for me at the other end. 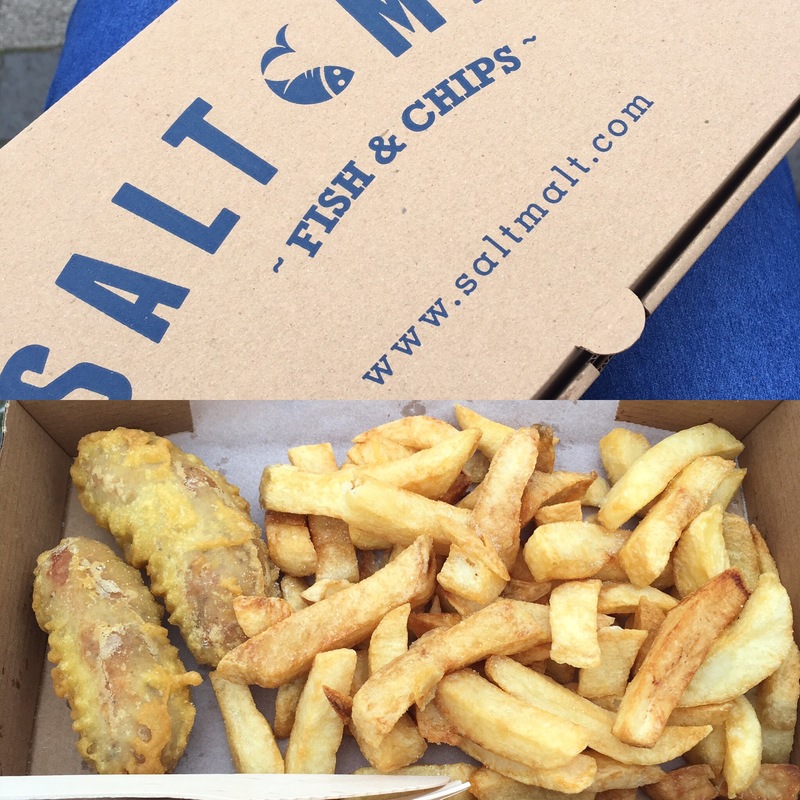 We found Salt and Malt, who offer gluten free fish and chips and have clear knowledge on cross contamination. Not only do they offer GF battered fish, they make GF battered sausages! How many years has it been since I got to treat myself to a battered sausage? Too many, because it’s so hard to find them gluten free. Is this healthy? It depends. Sitting outside by the harbour, chowing down on chips and chasing away seagulls was very good for my soul, so yeah, definitely healthy once in awhile. I’ve been using every opportunity across the week to get in the kitchen and get cooking. I roasted a whole chicken on Sunday, which made a lovely roast dinner. I made stock with the bones. 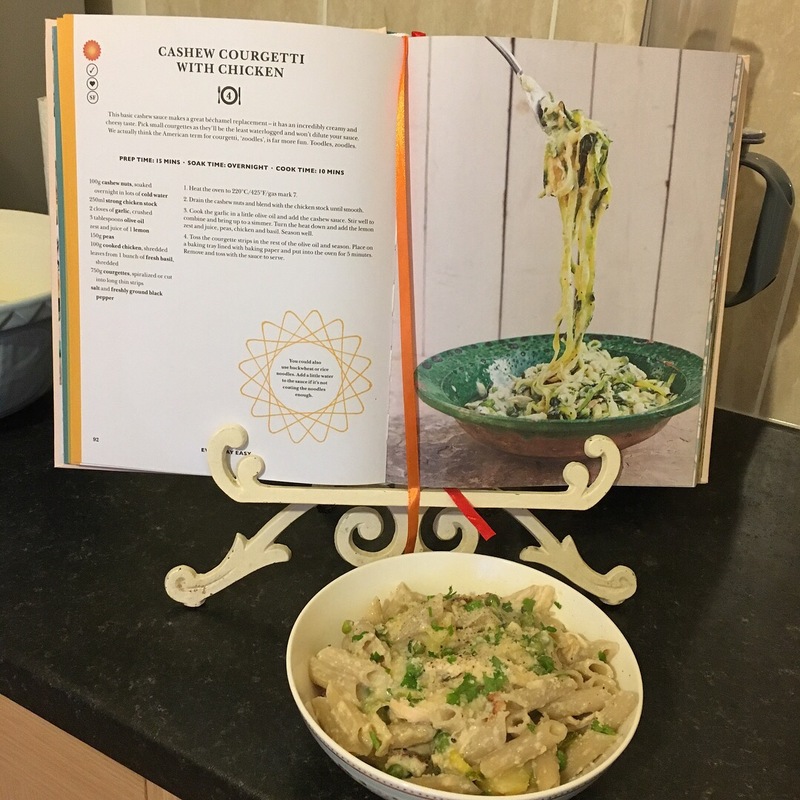 I made LEON’s Cashew Courgette Chicken pasta dish with some leftover meat and some stock. 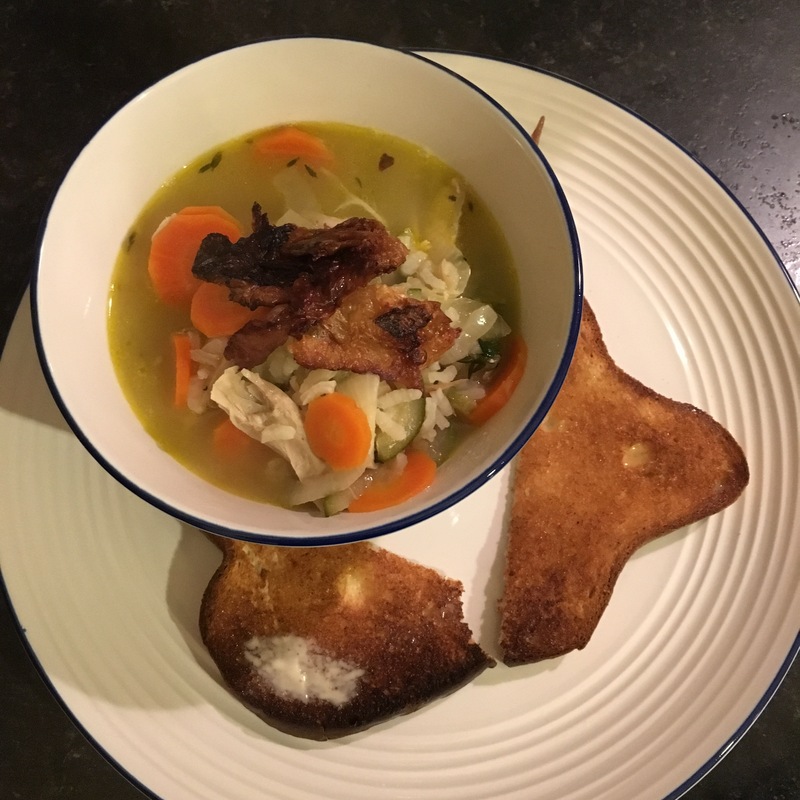 I made a herby stew with more leftover chicken and crisped chicken skin. There’s another hearty portion of stock left in the freezer too. I love how far you can make a whole chicken stretch. I’m looking forward to doing another roast at the start of next month too, maybe lamb? I’ve been making full use of my new Jamie Oliver book, 5 Ingredients. 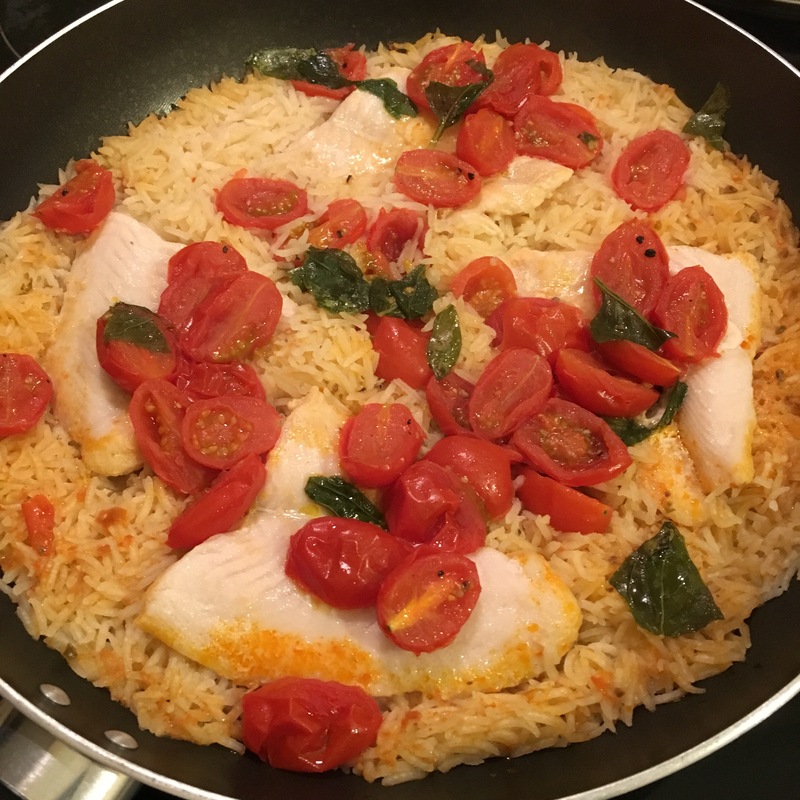 I made the Fabulous Fish one pan dish using pesto instead of tapenade, and it tasted great. I’m lining up a couple more recipes from this book to try this week, including the Easy Rustic Gnocchi and the Messy Meatballs. The thing that I’ve been cooking up most of all this week has been waffles. We’ve experimented with a few combinations and toppings. Lawrence’s favourite was the simple batter mix with bacon and maple. I think I liked the buckwheat version the most, and I love berry compote and coconut yogurt. 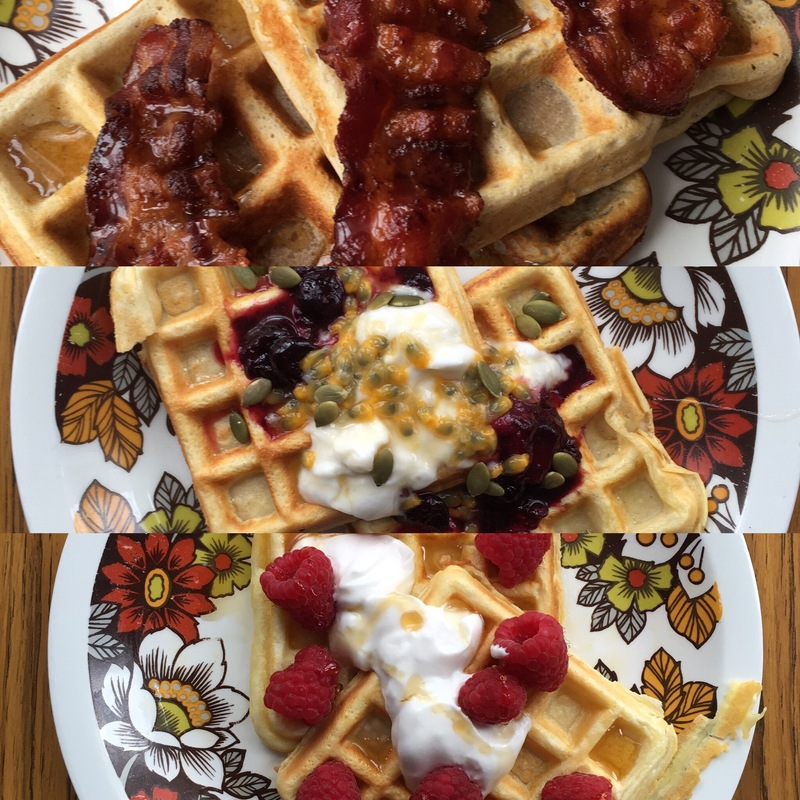 To be honest, I’m not too fussy when it comes to waffles, I love them all. Now it’s back to work, so sadly waffles will have to be relegated for weekends. Mind you, if I got the batter ready the night before, I might be able to whip up a batch before work, what a way to set up the day. I’m having a bit of a niggly weekend with endo pain but all I’ve got to do this afternoon is blog read, make gnocchi and watch Guardians of the Galaxy 2 with my love. A perfect way to end a blissful week. to Bristol again any time soon that meal looks fab! What a way to celebrate your birthday week! Gluten free diets are awesome! Specially when you get to indulge in so many delicious dishes. Oh wow! They all look so yummy! I really need to find me a gluten free chip shop close by!